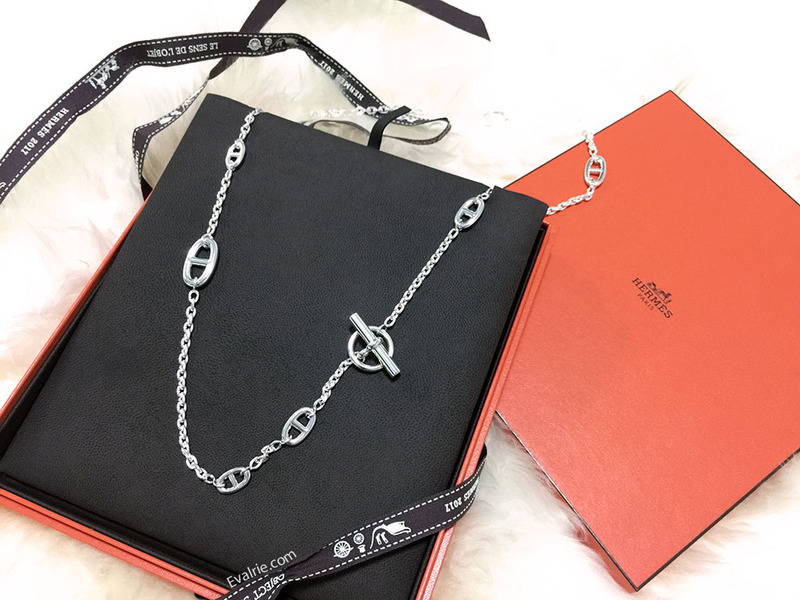 Let’s start small when it comes to venturing into Hermes. Furnished with shiny lacquer cabinets, metallic edgings and sparkling glass displays, the store can be decidedly intimidating for a (non-millionaire) first timer. Especially when the average product easily runs into the thousands of dollars range. While this isn’t my first Hermes, it’s still a bigger purchase than usual, so I have been mulling it over for weeks. 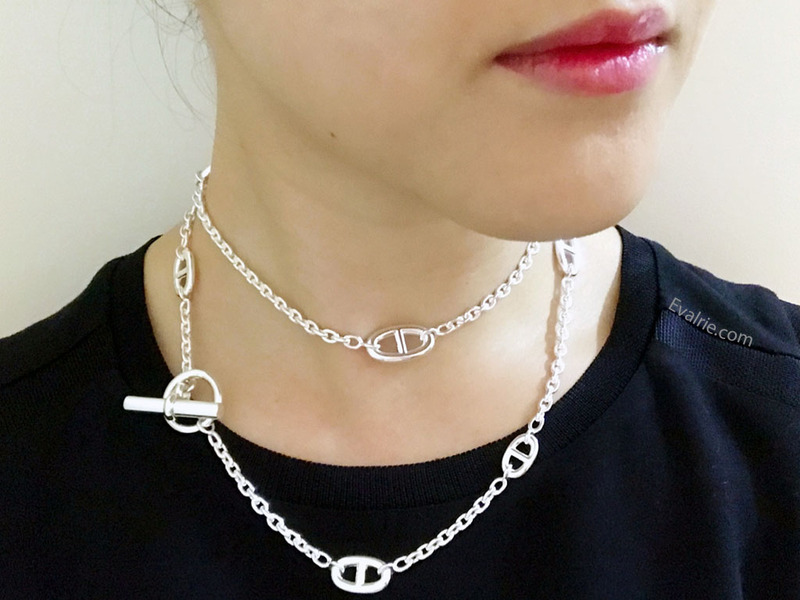 I’ve been on the lookout for a versatile, long silver necklace before encountering the Hermes Farandole 80 on @le.petit.bunnii’s Instagram. I loved how the Farandole could work dressed up or casual (plus it isn’t too showy for work), while the length was perfect for my petite frame. Initial impressions on the Hermes Farandole was on how weighted and lustrous it was. 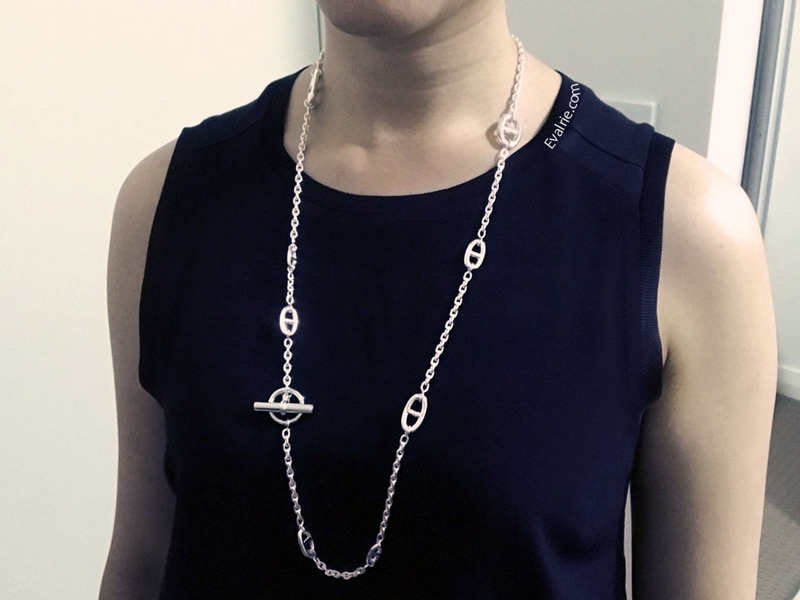 The necklace is solid silver with a rhodium plating for that extra shine. I went with the 80cm as it has more styling versatility. Check out the unboxing below! Wear it as it’s meant to be – a long necklace that sits just over the chest. The toggle is best worn to one side; I like it with the circle hanging downwards on the bar. Despite the heavier chain weight, the Farandole did shift a little around on my neck. Move the toggle to the bottom and pull the bar through until the circle naturally stops at the first d’ancre. I don’t mind this look but it feels a little dated. The bar hangs lower than I would have liked and feels like a potential swinging hazard (can easily see it picking up scratches on the way). I can see this look becoming a staple for work, peeking out under a collared blouse. It’s just long enough to double up without being too choker-like. Wear it like the second style but doubled up. Hang the bar down through the toggle to create a choker and pendant. It may be a subtle change but shifts the whole look towards being more casual. Less risk of scratches to the hanging back since it’s much closer to the body. For smaller waists, this would work great as a chain belt. I’ll probably utilise this style the least as I’m too worried of scratches from the constant rubbing of chains against each other. Have you got other ways to wear your long necklace? 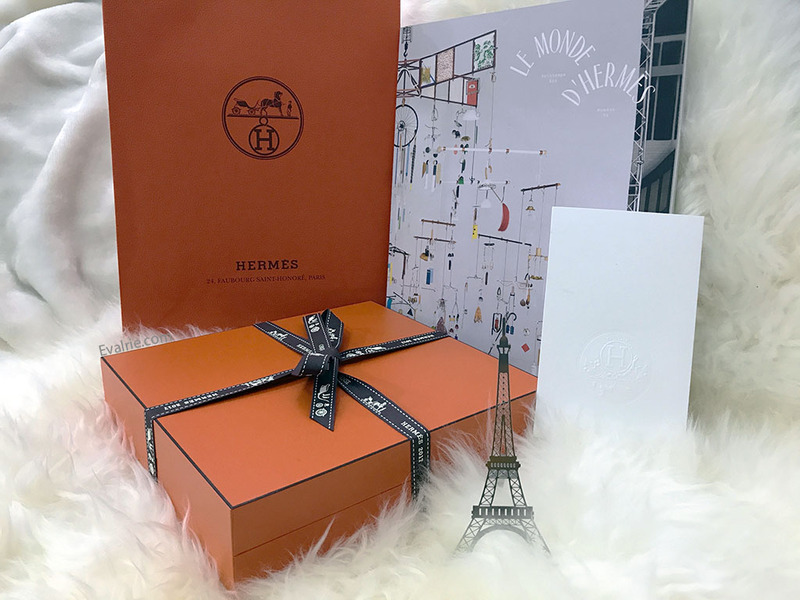 This entry was posted in Fashion, Howtos, Reviews and tagged accessories, Hermes, howto, reviews, style.